Have you ever heard anybody say they hated pizza?! Neither have we. We think everybody loves (or at least likes) pizza. Italian by origin, pizza has become that universal food that is usually good both for the soul and the stomach. Feeling down? Pizza. Too lazy to cook? Pizza. In a new city and with no idea what to eat? Pizza just seems to be the answer to so many questions and that’s why we have decided to dedicate an article to it. If you’re a pizza lover visiting Timisoara or just an uninspired travel in town, La Pizza Napoletana is where you can find (in our humble opinion) some of the best pizza in Timisoara. The name of this pizza place is pretty straightforward: you can find pizza following the original Neapolitan recipe here. This is believed to be the “original” Italian pizza: made from a thin layer of dough, that is still “puffy”, especially around the edges. This is said to be easy to digest – so maybe it’s the “healthy” way of eating pizza?! We’re not sure about its nutritional value, but the taste has won our appreciation! La Pizza Napoletana’s pizza menu features several kinds of pizza, from the classic “margherita” to their own mixes – like the “Voichi” kind: pumpkin cream, mozzarella, prosciutto cotto, fennel, parmesan and olive oil. In true Neapolitan fashion, most pizzas come topped with yummy mozzarella. The rest of the ingredients are also high-quality and blend in perfectly. You can then match your pizza with a cold local beer, coffee or lemonade. If you’re visiting in the warm season, you’ll have a chance to eat outdoors, on their lovely terrace. The bottom line: why eat at Napoletana? Yummy pizza, cozy and casual place, lovely terrace in the summertime. Make sure to also follow them on Instagram. 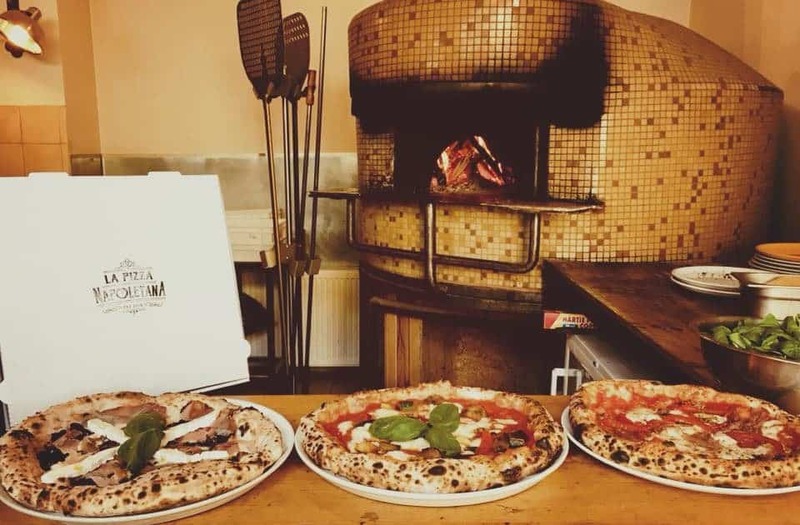 Where can you find La Pizza Napoletana and the best pizza in Timisoara? Just click here.